Rustic modern elegance and an airy, open layout provide a contemporary café experience. 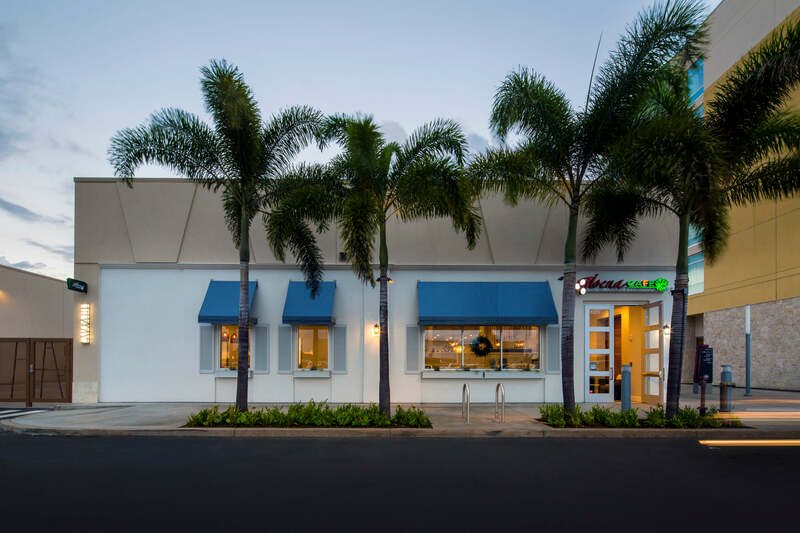 AHL assisted Moena Café expanding their repertoire at their location in Ka Makana Ali‘i to include dinner service for the first time. 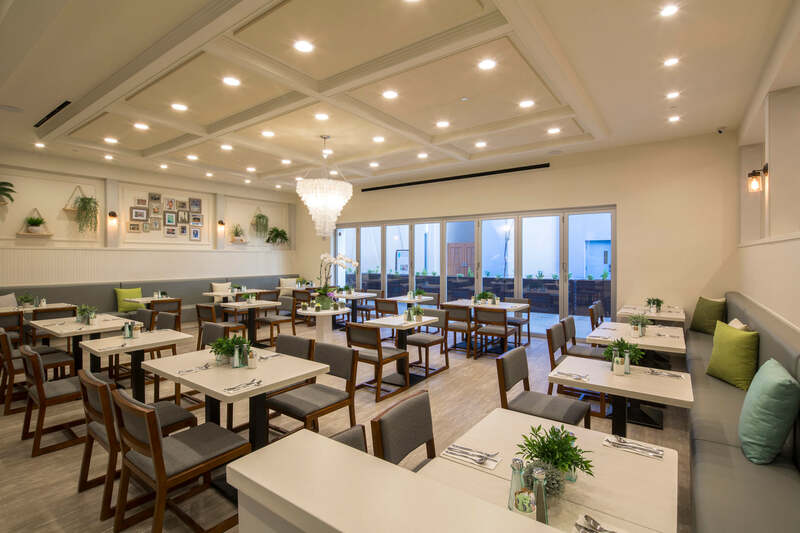 This location is Moena Café’s largest, offering a variety of experiences to include exhibition kitchen spaces, a top-shelf bar, outdoor seating, private event rooms, and enhanced coffee service. AHL’s interior design team helped select a variety of custom light fixtures and wall coverings for this project. 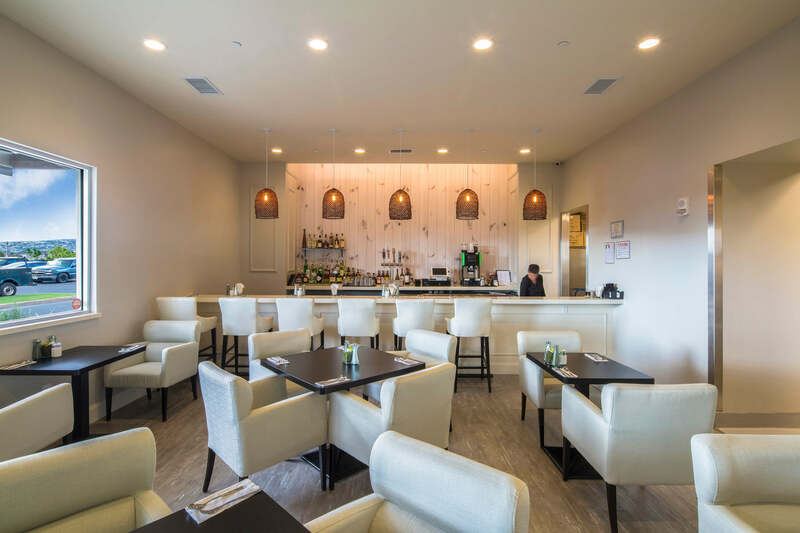 A coconut shell chandelier at the entry greets guests upon arrival, while a combination of decorative pendants and sconces adorn the dining spaces, providing a comfortable yet contemporary look. 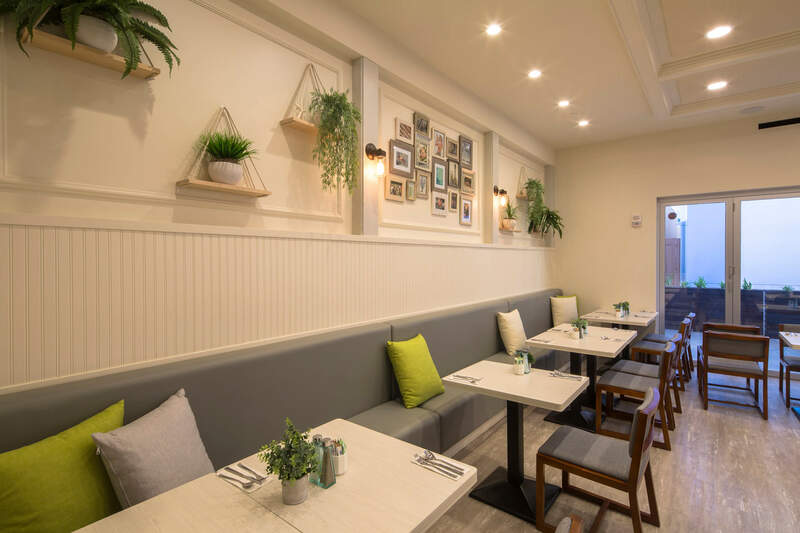 AHL also worked in concert with the owner, head chef, equipment specifier, and the Department of Health to produce a kitchen that is open, efficient, and fully visible to the customers. This open kitchen concept is referred to as “the big show” as it showcases the culinary art of food preparation.